Tobacco was the one with the master plan. She wanted travel to an empty world and transport unsuspecting Sims there so that she could rule them and toy with them. Of course she presented the plan to The Great Computer as one of benevolent study. “Oh Great Computer, I wish to study sims in an enclosed, planned environment where they cannot move away. This way we can follow them for generations and learn much more about the way that they operate.” Tobacco waited for her answer. She knew it was bad to interrupt the great computer’s processes. It could result in glitches and instabilities. Geranium, Tobacco didn’t mind but the other three were rejects in her opinion. Kale, no one considered her to be sane. Sandlewood, his parents hadn’t even spelled his name right. Carnation was the worst, however. She wasn’t even purely bred. She was half human! Tobacco knew better than to argue. Instead she began setting up dates for their departure and the arrival of her specimens. Overall, she thought her plan was coming along nicely. The computer had collaborated with Sim architects to make an acceptable structure for the Technicians to live in. It held individual rooms, an entertainment area and a large second floor with everything they might need for study. Tobacco was fairly pleased with the set up and, although she didn’t approve of time off, she gave the team the rest of the first day to settle in. Sort of. “I can’t believe this,” Carnation muttered under her breath as she began to prepare a meal. Tobacco had stopped her and complained that there was nothing to eat. Then she’d pulled the whole, ‘since you’ll be one of the cooks dear, why don’t you go get started?’ thing. It was so transparent. 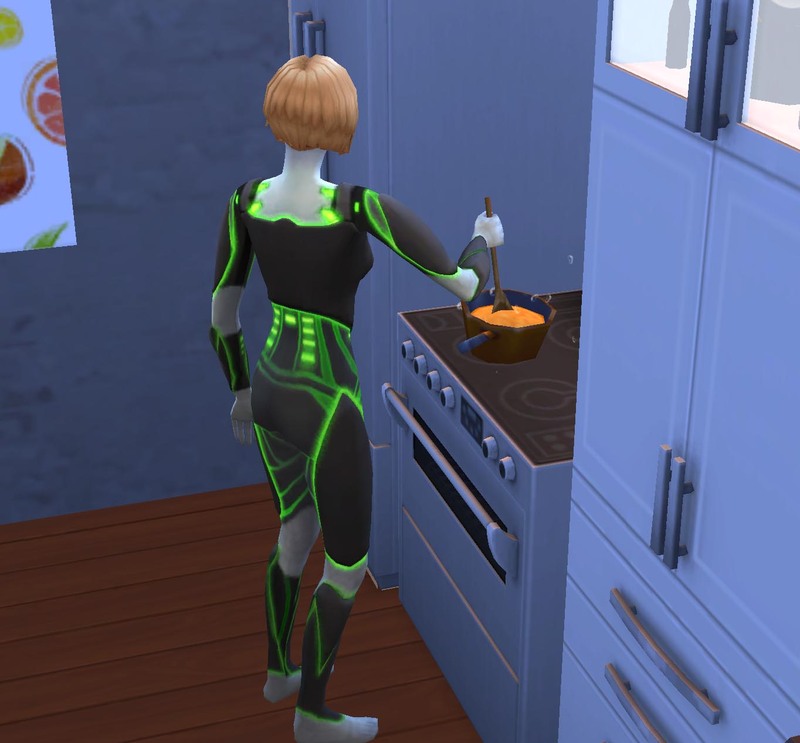 She knew why she was the one cooking on the first day instead of Sandlewood. 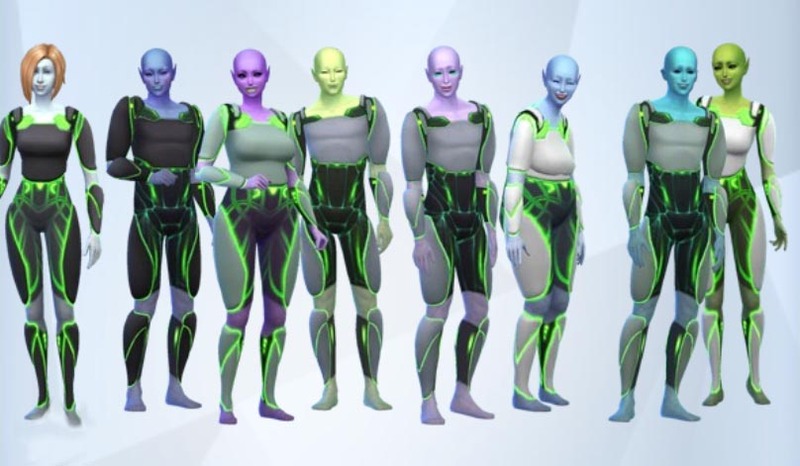 Carnation was born into an important family but her mother had the misfortune of falling in love with a non-alien sim. After he became pregnant and gave birth to Carnation her father refused to stay with her mother. The pregnancy had upset him to the point that he’d forgotten his original feelings for her. Her mother returned to alien society with Carnation and raised her there where many children and adults where harsh in their judgements of the situation. She really has had to work extra hard for basic alien rights. 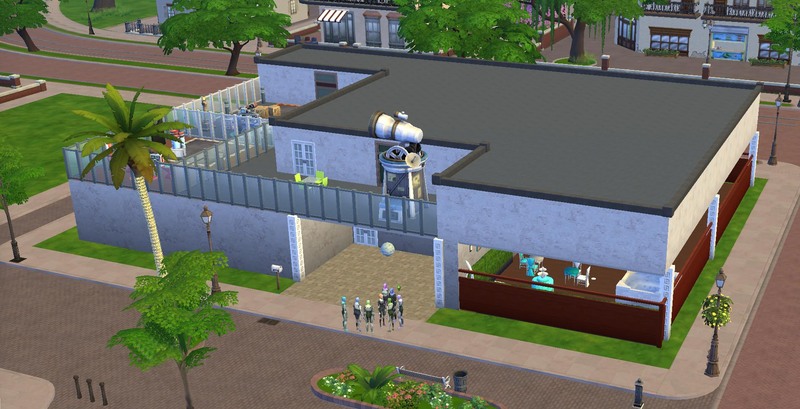 There were also things about regular sim society that intrigued her, so she was excited about her new assignment. In this place, perhaps she could learn enough about the society she hadn’t grown up in to get a better idea of what made her so different. Her mother had always told her she wasn’t all that much different from other aliens, but it was difficult to believe when so many other people thought she was. Perhaps that was why Carnation enjoyed solitude. A romantic at heart she loved viewing art and writing romantic tales. If she was allowed to have personal goals that would be hers, to write great stories about love. The house looks fantastic. And Lead Technician Tobacco was funny, thinking they could have done without some of the other sims, which she judges to be useless. Also, I love the way you gave Carnation a middle name! Thank you! I’m so glad you had the chance to read and comment. This particular home is actually a ton of premade rooms pasted together with slight modifications. I had to get creative about names for these sims since I wanted things just so. This is my final family to introduce so soon I get to actually dig into the story!